Today is the three-month marker of the Quartet plan presented to the Palestinian leadership after their “UN bid”, the formal request for admission of the State of Palestine as a full member of the United Nations, made on 23 September 2011 at UN Headuarters in New York. The Quartet Plan was presented to stop the P.L.O. from pursuing their “UN bid”, or pressing it for a vote, because Israel was terribly upset, and the U.S. threatened to use their veto power to block it in the UN Security Council. At the first 3-month mark, the two parties were to have met, and they were to have exchanged ideas on what the borders for a two-state solution should look like, and on security arrangements. 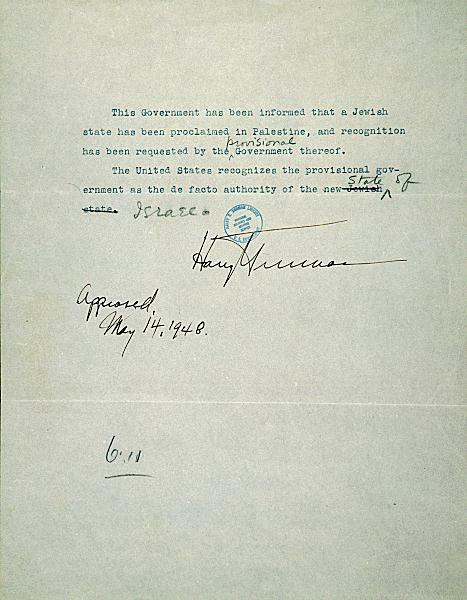 In December, the Palestinians let it be known that if Israel doesn’t present its idea of borders for a two-state solution by this date, the “hudna” or “truce would be over, and the Palestinians would again unleash all efforts for international recognition and admission to the international organization. In a calm and rather leisurely reaction, the U.S. State Department said a few days later that the three-month marker was not a rigid or fixed “deadline” … and urged efforts to continue to bring the parties back to the table for direct negotiations. Then, King Abdullah II of Jordan flew by helicopter over the Israeli-controlled West Bank and landed in the refurbished helicopter pad at Ramallah Presidential Muqata’a for a meeting with Palestinian President Mahmoud Abbas — a day before Abbas himself was due to travel through Jordan, on his way to another session of Palestinian reconciliation talks with Hamas officials in Cairo… Little was revealed publicly about that meeting, and some diplomatic sources suggested that the real purpose was that Abdullah needed help and had panicked, and was really asking Mahmoud Abbas for help . What is more significant is that U.S. State Department envoy David Hale, who had met Abbas the evening before, was back in Jerusalem to meet Israeli PM Netanyahu just before Abdullah II landed in Ramallah. Then, Hale drove overland to Amman, and met Abdallah II back in Amman that evening. Not long afterwards, Jordan announced that it would be hosting talks between Israeli and Palestinian negotiators in Amman — which would include direct meetings for the first time since September 2010. Jordanian Foreign Minister Nasser Judeh announced that further contacts would be held — but not announced. There was criticism from different Palestinian political groupings, from Hamas to the Popular Front for the Liberation of Palestine [PFLP], and Palestinian “youth groups” organized a couple of demonstrations outside the Muqata’a to protest. A total of five meetings were held in Amman, prior to today’s deadline. The Palestinians presented their maps and border proposals in an early meeting. It was not until the last meeting of negotiators [the P.L.O.’s Saeb Erekat, and Israel’s Yitzhak Molcho] that the Israeli delegation screeched up to the meeting, just hours before the deadline, with a kind of power-point presentation about its general ideas — but reportedly without any very specific indications of what Israel thought the borders for a two-state solution should be… and not much indication about security, either. This report is posted here. More recently, Glenn Kessler wrote from Washington in the Washington Post late last year (2 October 2010) that former U.S. Secretary of State Colin Powell said, in a speech in November 2001, that “Palestinians must eliminate any doubt, once and for all, that they accept the legitimacy of Israel as a Jewish state“. After an internet search, I found this Colin Powell speech posted here and here. BUT, Kessler wrote in his recent WPost (or WAPO) article, “Powell doesn’t recall how the phrase ended up in his speech” … “David Ivry, then Israeli amb to US, says he ‘persuaded an aide’to slip Jewish state reference in Colin Powell 2001 speech…Kessler wrote that David Ivry said he contacted Powell aide Richard Armitage, but Powell said that he asked and Armitage doesn’t remember this either … However, Kessler reported, “Aaron David Miller…who wrote 1st draft of Powell speech, said..[the reference to the need for Palestinian recognition of a Jewish state]..didn’t ring many alarm bells“… This October 2010 article by Glenn Kessler in the Washington Post is published here. So, the Israeli Ambassador whispered into the ears of some U.S. State Department officials, and Powell mentioned it in his 2001 speech — and now only Aaron David Miller remembers how the reference [to the need for Palestinian acceptance of “the legitimacy of Israel as a Jewish State”] got into the this Powell speech?! And recently Obama has shown, again [in his two speeches in May, the first at the State Department, the second to AIPAC], that for the U.S., at least, there is no problem to say that Israel is a Jewish State, or the homeland of the Jewish people. Obama’s words, in May, were: “A lasting peace will involve two states for two peoples: Israel as a Jewish state and the homeland of the Jewish people”.